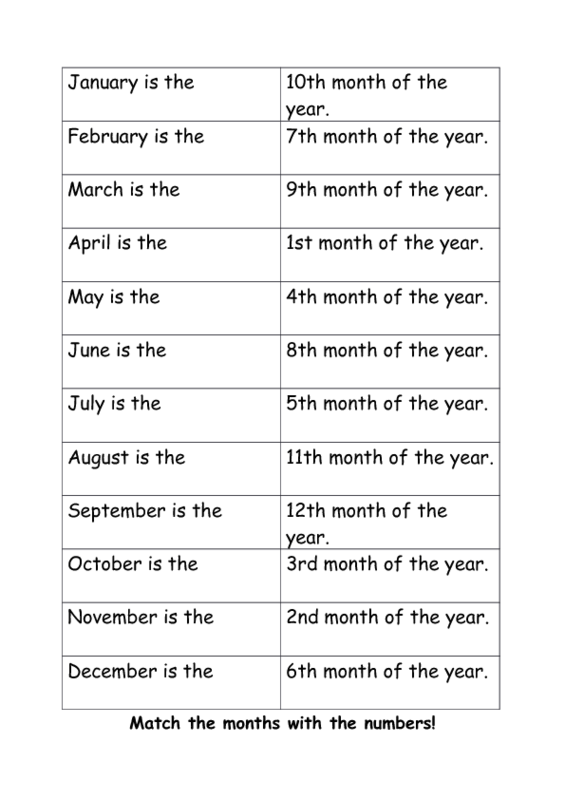 You can use this worksheet in two ways. For a speaking-exercise you laminate the page and cut out the pieces. Students have to combine the pieces and say the whole sentence. They can do it in pairs. 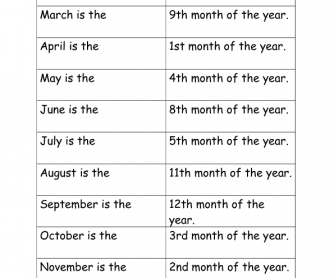 For a writing-exercise they match the months with the numbers in the worksheet and then write the sentence.